Last Sunday, August 28th, was the feast of St. Augustine – though it was superseded by the Sunday liturgy. The holy bishop of Hippo and Doctor of Grace was, of course, a prolific writer. Almost everything he wrote, however, was a response to particular situations and controversies of the time and, while this is the mark of a true pastor of souls, it also made it more likely that there would be certain exaggerations or even errors in the finer points of his teachings. And so, towards the end of his life (c. 426-428), St. Augustine wrote the Retractationes or “Reconsiderations” wherein he offers certain clarifications and corrections to his earlier writings. I wish to offer this post in a similar spirit. In particular, I intend to clarify points which I have made here at The New Theological Movement which could really be confusing to some readers. The daily homily of Fr. Ryan Erlenbush, given last Monday for the feast of the beheading of St. John the Baptist. 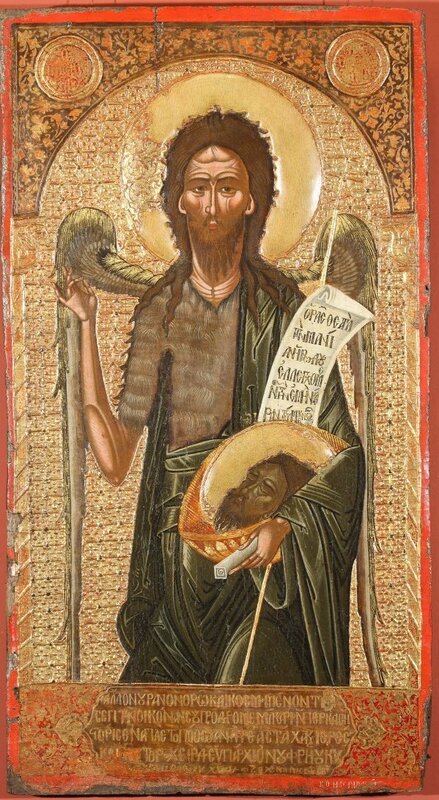 St. John the Baptist is a great model for the parish priest: He died defending the dignity of marriage. The parish priest is also called to give his life in defense of marriage and family life: This means preaching the truth against contraception and promoting the family Rosary. Pray the good Lord to send us more holy priests! See the homily here: Priests need to preach against contraception. 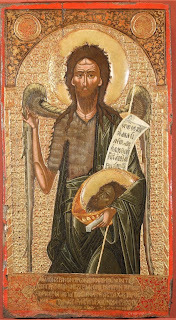 We intend, in this article, to attempt something new for the New Theological Movement blog – we will look at several icons of St. John the Baptist and briefly discuss the theology contained therein. But, if we admit that prayer (simply speaking) cannot move God, what good is it? Did Jesus really call Peter "Satan"? The meaning of our Savior's words, "Go behind me, Satan!" While some might think it impossible that the kind and loving Jesus should speak an insult to anyone, it is clear from the testimony of the Holy Scriptures that the Savior is willing to apply evil and insulting words to others – he calls the Pharisees a generation of vipers (Matthew 12:34) and the Canaanite woman a dog (cf. Matthew 15:25), among other such instances. In the Gospel of this Sunday, it would seem that Christ even goes so far as to call Simon Peter, whom he had only just established as the rock and foundation of his Church, “Satan”. How can this be? Did Jesus really call St. Peter “Satan”? 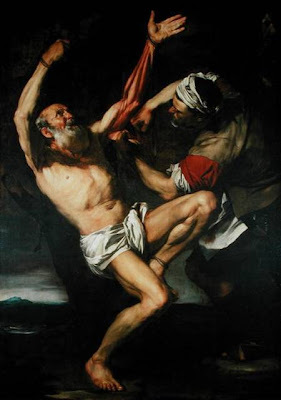 Why read about Nathanael on the feast of St. Bartholomew? The name “Bartholomew” does not seem to be the proper name of this Apostle, but is more of a title – for it means only “son of Tholmai”. Indeed, little is known about this great man. However, if we consider the Gospel which the Roman Church reads on the feast, we gain an insight into his identity. The Gospel does not mention St. Bartholomew, but is the calling of St. Nathanael through the cooperation of St. Philip. Have you ever wondered whether the Immaculate Heart of Mary is a physical heart? Take a look at this post for an answer! Additionally, check out some of the new links that we at NTM have added to the newly-created right sidebar. You will find links to many helpful Catholic resources (including catechisms, bible commentaries, St. Thomas’ writings, and more) and also to a handful of the works of Fr. Reginald Garrigou-Lagrange (including his famous article: “Where is the ‘New Theology’ Leading Us?” – n.b. though our blog is called “The New Theological Movement”, we are not generally followers of the “New Theology” of Balthasar, Congar, and de Lubac). Is Mary the Queen of ALL hearts? 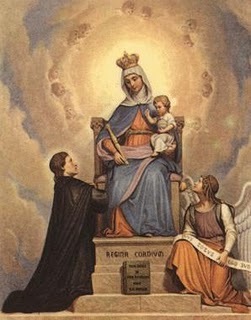 However, we then come to a question: Can Mary be said to be the Queen even of the non-baptized? Is she the Queen also of the damned in hell? Is she the Queen of the demons and of Satan their head? The Sunday homily of Fr. Ryan Erlenbush, on the unique nature of the Church. When Jesus says that "the gates of the nether world shall not prevail against it", he means to tell us that the powers of hell will prevail against every other reality (every philosophy, ideology, nation, power, etc) excepting insofar as it is united to the Church. The Church alone will overcome the gates of hell. Only in the Church can men hope to find salvation. Read the sermon here - Father Ryan's Sunday Sermons: Only the Church shall overcome the gates of hell. If Christ is the rock, can Peter also be the rock? And so I say to you, you are Peter, and upon this rock I will build my church, and the gates of the nether world shall not prevail against it. It is well know that the name “Peter” (Petrus or Petros) means “Rock” and, as Christians have always understood it, our Savior gave Simon this name in order to signify that he is the “rock” upon which the Church is founded. However, a difficulty arises, for we know that Christ alone is the true foundation of the Church – If Jesus Christ is the “Rock”, how can Peter be the “Rock”? I will give you the keys to the kingdom of heaven. Whatever you bind on earth shall be bound in heaven; and whatever you loose on earth shall be loosed in heaven. In the Extraordinary Form of the Roman Rite, the priest makes the sign of the Cross over the water which is to be mixed with the wine at the offertory of the Mass. 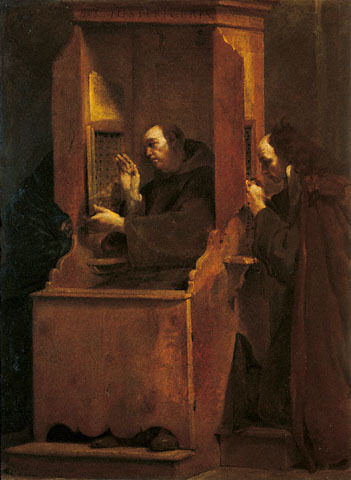 This practice is preserved by some priests also in the Ordinary Form, although it is not explicitly present in the rubrics. Rather than discussing the historical development of the practice or entering into the question of whether the Novus Ordo rubrics allow (or should allow) for its continuation, it will be good to notice that this little sign of the Cross expresses the theology of this Sunday’s Gospel (in the Lectionary of the Ordinary Form). Why does the priest make the sign of the Cross over the water? 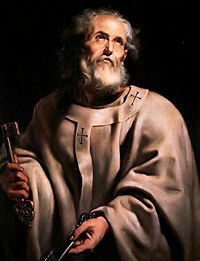 Because the keys given to St. Peter have the power to forgive the sins of the living, but not those of the dead. The humility of the Blessed Virgin Mary was so great in this life that no one, save God alone, knew or even began to perceive her magnificence. Who could comprehend the most excellent work of God, this perfect creature, this holy temple? 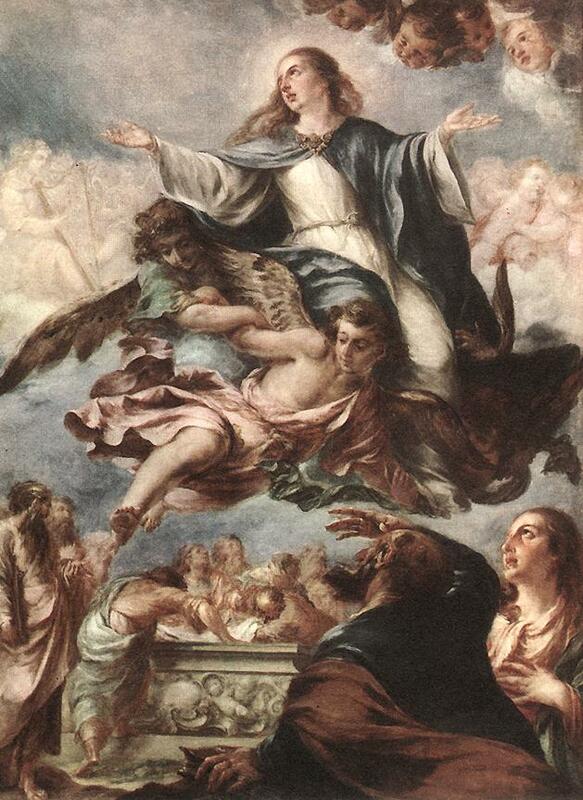 As the beloved of the Lord, our Lady far surpasses all that the human mind can contain or even imagine. What is more, the glories of Mary exceed not only the minds of men, but even the angelic intellect, so that even the angels did not fully perceive – nay, they scarcely have even begun to perceive – her beauty, her magnificence, her grace, and her glory. The soul of the Virgin Mary, and even her very body (the purity of which exceeds merely rational estimation), is the enclosed garden which is fully known and possessed by God alone. And yet, out of his love for us poor creatures, the Almighty shares with us this august creature – he gives his Mother as our Mother. What joy! 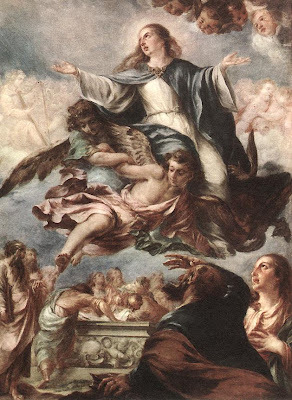 And (according to the prophecy of Solomon), as the angels see the Woman assumed into heaven, they marvel at the perfection of God’s work and say to one another: Who is she? 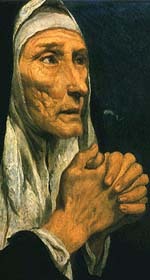 Many Catholics (at least in the West) are under the impression that the Latin (Roman) Church favors the opinion that the Mother of God did not die, but was assumed at the end of her life without suffering the separation of body and soul; while the Eastern Church favors the opinion that the Blessed Virgin Mary did die, and that they refer to this death as a “dormition”. 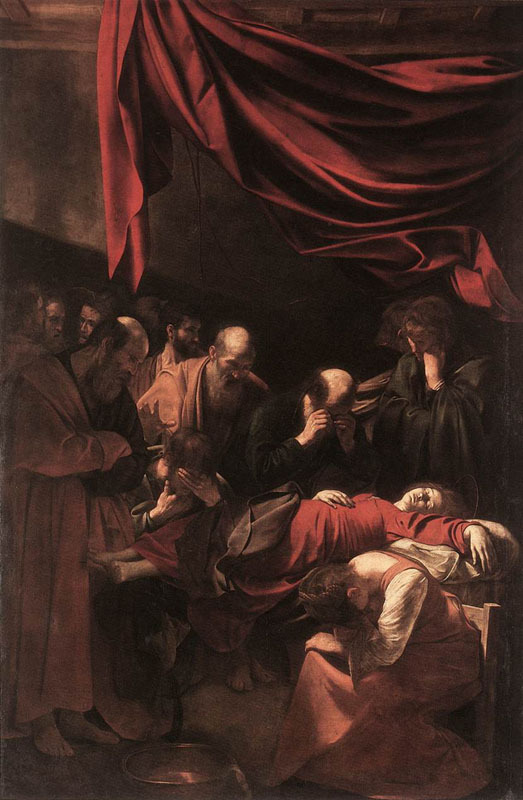 In truth, although there are certain modern westerners who (quite rashly) maintain that the Virgin did not die, the Latin tradition has generally been even stronger than that of the East in affirming that our Lady suffered death: While the East speaks of “the falling asleep (dormition) of the Theotokos”, the West has traditionally favored the more blunt “the death of the Virgin Mary”. 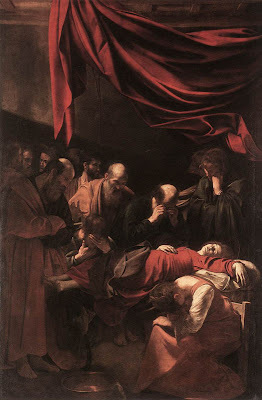 The Latin tradition is so strongly in favor of the doctrine that our Lady suffered death before her Assumption that this was very nearly adopted at the Second Vatican Council after being promoted especially by mariologists of the Roman school. Fr. Ryan Erlenbush's homily of August 14th, on the importance of maintaining the Jewish roots of Christian prayer. The Rosary, as opposed to eastern meditation (like "centering prayer" or "yoga"), is deeply rooted in the Jewish traditions. 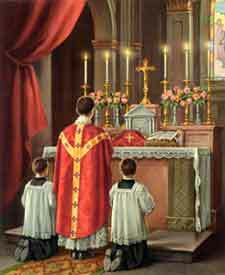 Likewise the Mass - especially in its more traditional form - has a Jewish heart. Many of the "reforms" in the '70s (like removing the altar rails and destroying the old stone altars) were a terrible mistake, since they obscured the Jewish roots of the Catholic Liturgy. For the gifts and the call of God are irrevocable. The strong emphasis of this great saint on her blood relation to Jesus through her Jewish lineage can make some uneasy. Such persons wonder: Can we really say that the Jews are still the “chosen people”? Is it not necessary for the Jews to believe in Christ in order for them to be saved? Since none are saved by being born of blood, nor by the will of the flesh, nor of the will of man (John 1:13), is there any importance to being a Jew? Rather than discussing these questions directly, it will be helpful to consider a tension which exists within the Scriptures themselves. In the Gospel according to St. Luke and in St. Paul’s Letter to the Romans, we are presented with two different accents of the relation between the Jews and salvation – note, I do not say there are two different theologies but only two accents. St. Luke’s Gospel, recording the words of Christ, seems to imply that the Jews who have rejected Christ are (as a people, though not necessarily as individuals) shut out from salvation and left behind. St. Paul, on the other hand, seems to state that salvation will only come to the world when the Jews (again, as a people) are converted to the true Faith. This difference is all the more interesting when we consider that St. Luke was a disciple and friend of the Apostle to the Gentiles. 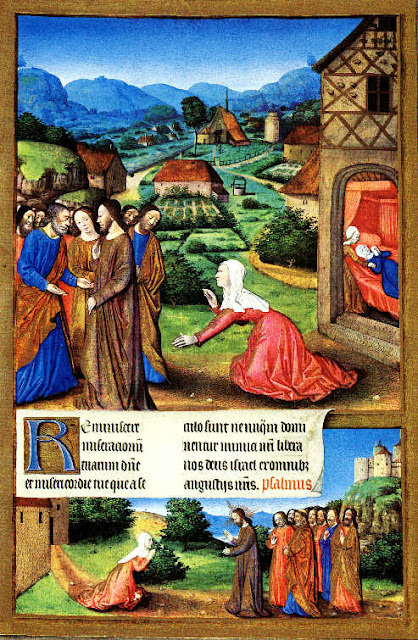 Why did Jesus call the Canaanite woman a "dog"? To teach us how to pray! It is really quite absurd to think that Jesus was taught anything by anyone (cf. Summa Theologica III, q.12, a.3) – though he did obviously learn through observation, he was never the “disciple” or “pupil” of another. How much more absurd it is to think that our Lord would not know his own mission! That he would be ignorant of his role as universal mediator of salvation for all peoples! Far be it from any to say that our Savior did not know that he was sent to save the Gentiles also. Far be it from any to say that our Savior did not know he was going to heal this woman’s daughter. What is perhaps most disappointing about this all-too-common take on the Gospel passage (according to which Jesus is taught by the woman) is that it misses the essential thrust of the event: It is not that our Lord is learning from the woman, rather the good Savior is teaching her (and us) how to pray. Does a parish priest have time to blog? The Catholic blogosphere sometimes reminds me of the early Church – all sorts of people are saying all sorts of things, some are right, some are almost right, and some are way wrong. The internet is an environment with very little control, hence there is almost no on-line oversight from the Church’s pastors (i.e. the bishops). What is more, the internet culture is often looked down upon by the Hierarchy – both by bishops and by many of the priests. I notice that older priests are especially quick to discredit Catholic blogs (whether this is because the Catholic blogosphere is quite conservative or whether it is just a simple matter of “hiding one’s head in the sand”, I do not know). There are legitimate questions raised occasionally, especially when it comes to priests (and, I suppose, bishops) who contribute to blogs: Is the blogosphere really a dignified place for a preist? Does a priest have time to write for a blog? 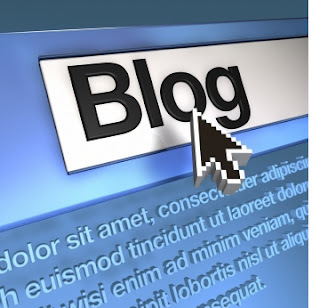 And, finally, If a priest does have a blog, what should it look like? In this little article, I would like to provide something of an answer to these questions. In the course of my response, I hope as well to give people a little insight into how a priest might fit “blogging” into his busy schedule. See! I'm done on this side! 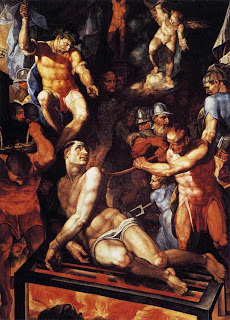 While there are certainly many reasons why St. Lawrence is given this special honor – which, in the Liturgy of Church, raises him to a status among the Apostles – we look particularly to his role as a martyr. 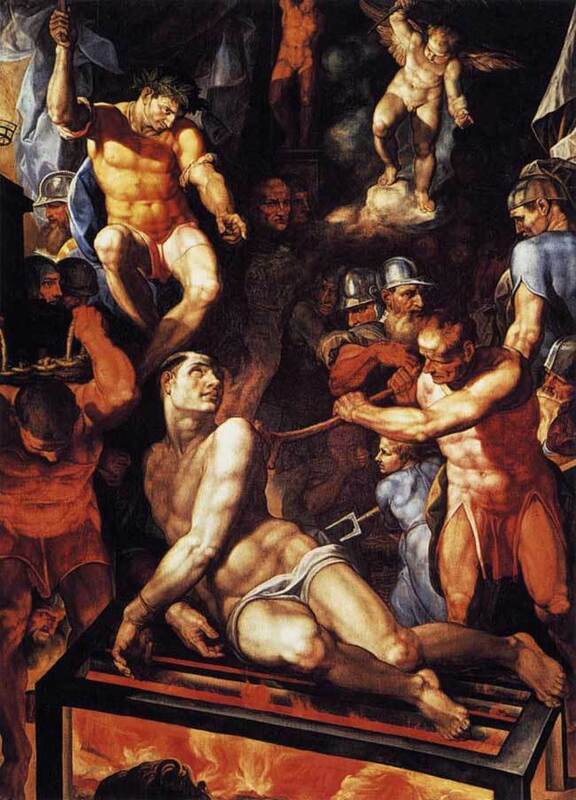 Not only was St. Lawrence the most popular (post-biblical) martyr of the early Roman Church, but the very circumstances of his death were such as to manifest the essence of martyrdom. 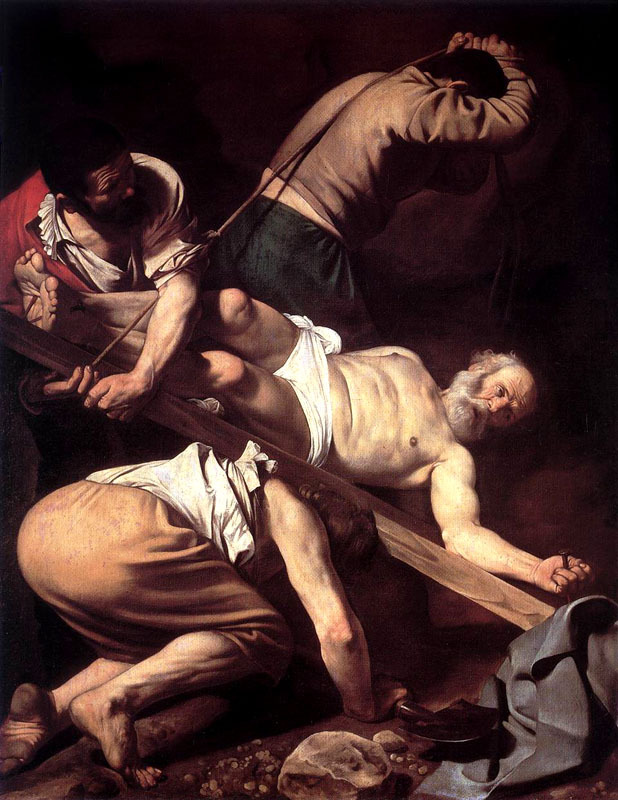 The “martyr” is, of course, the “witness” – but to what is the martyr a witness? Certainly, the martyr is a witness to Christ; but aren’t all Christians called to be witnesses to Christ? What then makes the martyrs unique? The answer is found in the consideration of this simple point: You have to be dead to be a martyr. Edith Stein, a German Jew who became a Carmelite nun and took the name Teresa Benedicta of the Cross, was born to eternal life this day in 1942 in the gas chambers of Auschwitz. She had once told her confessor, "You don't know what it means to me to be a daughter of the chosen people - to belong to Christ, not only spiritually, but according to the flesh." St. Teresa Benedicta: a faithful daughter of Abraham, a faithful daughter of the Church. Let St. Dominic teach you how to pray a holy hour! Nearly every Catholic – in fact, nearly every person in general – wants to know how to pray better. We know that prayer is all powerful, because it derives all its power from the omnipotent Godhead. Still, we may wonder, How do we pray well? And, more specifically, How do we pray a holy hour (or any serious length of mediation) well? When it comes to such a serious question, one which results in nothing less than eternal life or eternal death, we must turn to true masters: The great saints of the Tradition! Among them all, St. Dominic stands out as a true master of the spiritual life – the spirituality of St. Dominic, together with that of St. Francis, carried the Church from the medieval period into the modern age. Today, his feast day, it is fitting that we should look to the saint of the Guzmán family, and learn from him the way of prayer. The two fundamental movements of prayer are meditation and supplication. Christian meditation has nothing in common with Eastern prayer (e.g. "centering prayer" or "yoga"). All the saints are in heaven because they prayed. All the damned are in hell because they did not pray. Prayer is everything! Why did Jesus privilege Peter, James, and John at the Transfiguration? 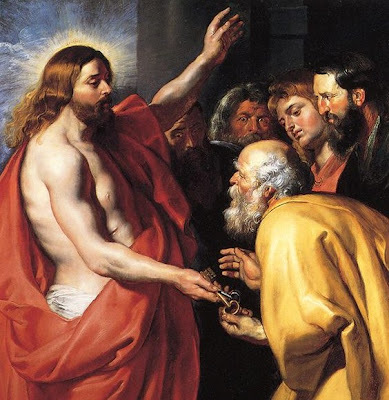 Christ did not manifest his glory to all peoples at once, nor even did he show himself transfigured to the entire company of the Apostles; rather, he chose only the three – Peter, James the Greater, and John the Beloved – as witnesses to his Transfiguration. Why, then, was the mystery shared only with these three? Indeed, why are these three regularly favored by our Savior? 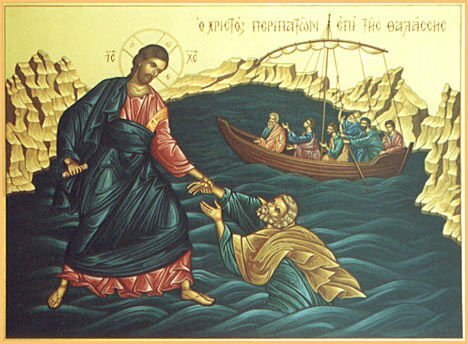 Jesus made the disciples get into a boat […] he went up on the mountain by himself to pray […] Meanwhile the boat, already a few miles offshore, was being tossed about by the waves, for the wind was against it. During the fourth watch of the night, he came toward them walking on the sea. […] “Take courage, it is I; do not be afraid.” […] the wind died down. Let us be entirely clear on this point: Our Savior’s walking on the waters was an historical event which really and truly occurred on the Sea of Galilee, as narrated by the Evangelists. It is sad that some of the rationalists doubt this point. Could not he who rose from the dead likewise walk on water? Indeed, the grace which filled Christ’s soul and which overflowed also into his body at his Resurrection likewise gifted his body (when our Lord so willed) so as to enable him to walk on water. The power by which he rose and the power by which he walked on water are one and the same: His soul enjoyed the beatific vision from the first moment of his conception. In addition to the plain sense of the letter (i.e. the literal or historical sense) there is also the mystical or spiritual sense. According to the spiritual sense of the passage, the things (e.g. the disciples, the boat, the mountain, the water) signify other things. This shall be the focus of our little meditation. 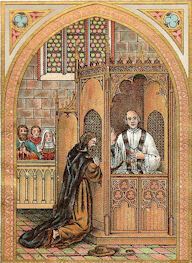 The holy Curé of Ars is well recognized as the great apostle of the confessional. Pope Benedict, in declaring the Year for Priests, explicitly presented St. John Vianney as a model for priests in their ministry as confessors. And so, we all must pray that the good Jesus would send us more priests like the humble St. John Vianney. The priests as well must implore the Savior for all the many graces necessary for growth as a confessor. Still, the priests must also imitate the example of St. John Vianney – we priests should be asking ourselves, “How did the Curé become such a good confessor?” This question will lead us back to Monday’s saint: Alphonsus Liguori. The confessional can be busy at times! St. Alphonsus sees spiritual direction as integral to the work of the confessor (see, especially the final chapter of his Pratica del Confessore). Still, we simply must admit that confession is not spiritual direction proper and there is the realistic fact of time constraints. 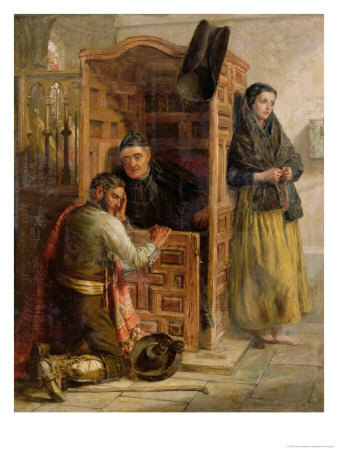 What will be necessary, then, is to discuss the occasions in which it is appropriate (and perhaps even obligatory) for the priest to give some spiritual counsel to the penitent. Last Sunday's homily delivered by Father Ryan Erlenbush at Billings Central Catholic High School (reunion Mass) in Billings, MT. The multiplication of loaves had to be a miracle because (1) the bread which the world gives does not satisfy and (2) we can't feed ourselves by "sharing" our own little morsels. Also: Why only practicing Catholics (in the state of grace) can receive the Eucharist. St. Alphonsus teaches that there are four roles which the priest must perform with excellence in order to be a good confessor: He is a father, a physician, a teacher, and a judge. To fulfill these aspects of his duty as a confessor, the priest must, of course, be holy – but personal holiness alone will not suffice. Indeed, the confessor must be well-learned in the matters of moral theology. Here, we recall that St. Teresa thought it better to have a confessor who was learned but not holy, than one who was holy but not learned. On the feast of the Doctor of Moral Theology, we consider the advice which St. Alphonsus gives to confessors. We should hope that priests would find a renewed zeal to read the works of the Patron Saint of confessors. Why veil the cross and other images during Passiontide? All comments must be approved by a blog moderator before being published. Use a name or pseudonym and please keep the comments short (less than 100 words), to the point, and civil. Lengthy or anonymous comments will be deleted - nothing personal. What is the significance of a novena? Why nine days? Where is the "New Theology" Leading Us?